Posted on 19, January 2016 by EuropaWire PR Editors | This entry was posted in Energy, Gas & Oil, Industrial, Switzerland and tagged ABB, Oliver Riemenschneider, turbocharger upgrades. Bookmark the permalink. Zurich, Switzerland, 19-Jan-2016 — /EuropaWire/ — Independent study shows ABB turbocharger upgrades further improve engine performance and reduce fuel consumption. ABB, the leading power and automation technology group, announced study results1 showing a 64% return on investment from turbocharger upgrades. The increased revenue resulting from higher engine output of three engines in a power plant accumulated to approximately $537,000 per year, and in addition, fuel savings of $470,000 per year2 were realized. 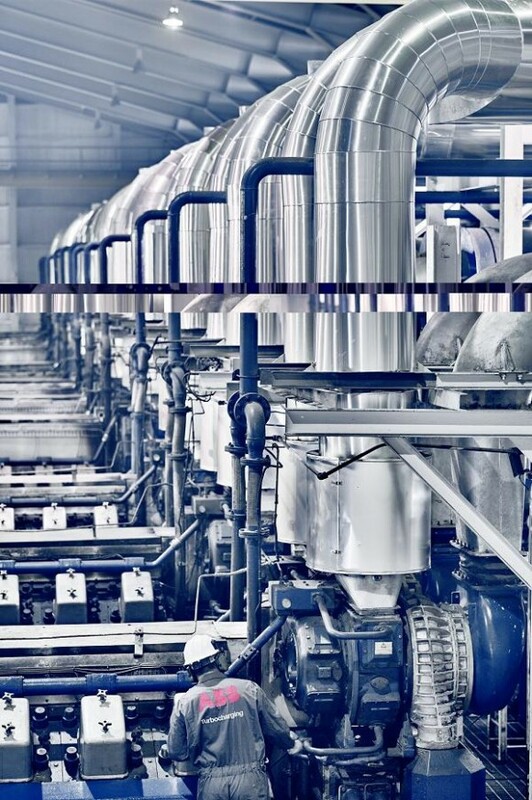 Forrester Consulting conducted a study* examining the return on investment (ROI) from upgrading ABB turbochargers for a major power plant operator in the Caribbean. Data gathered and analyzed from the three engines before and after the upgrade indicated a Net Present Value of $1.4 million3, calculated over three years, with an annual value of $824,000 and a payback time of 11 months. An industrial turbocharger uses engine exhaust energy to force more air into the cylinders of a combustion engine, thus enabling higher engine output and efficiency. An upgrade entails replacing old turbochargers or turbocharger components with new, improved versions. Using latest technology turbochargers or components brings about a number of significant potential benefits, such as lower fuel consumption, lower emissions, higher engine output and reduced maintenance cost. Overall, the engine operation can be better optimized to the specific needs of the operator. In the case study, new advanced compressor wheels with a higher efficiency and wider speed margins were fitted to six turbochargers on three engines. The increased efficiency led to fuel savings of 1.6% equating to a reduction of $470,000 in the annual fuel bill. In addition, due to the wider speed margins of the new compressor wheels, it was possible to run the turbochargers at a higher speed, particularly during the hot period of the day. Before the upgrade, the engines could not be run at full load but had to be derated due to very high outside temperatures. After upgrading, the power output could be increased by 2.4% resulting in $537,000 additional revenues per year. As well as financial benefits, the study by Forrester Consulting provides information on additional benefits from the turbocharger upgrades. These include lower emissions, extended component lifetime due to lowered thermal stress, as well as longer running hours between overhauls leading to reduced maintenance cost. *The study was commissioned by ABB and delivered by Forrester Consulting. It is not meant to be used as a competitive analysis. Forrester makes no assumptions as to the potential ROI that other organizations will receive and strongly advises that readers use their own estimates within the framework provided in the study to determine the appropriateness of an investment in a turbocharger upgrade.